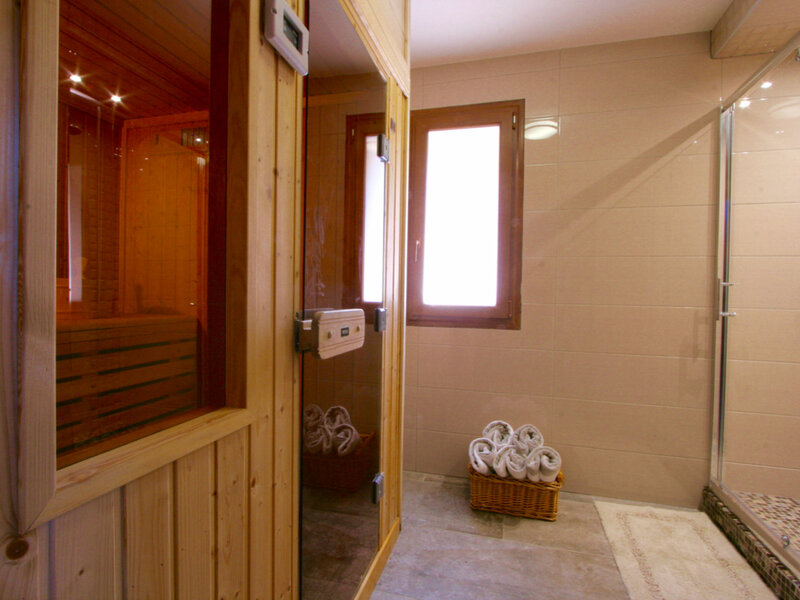 Accommodating 10 to 12 people in 5 ensuite bedrooms. 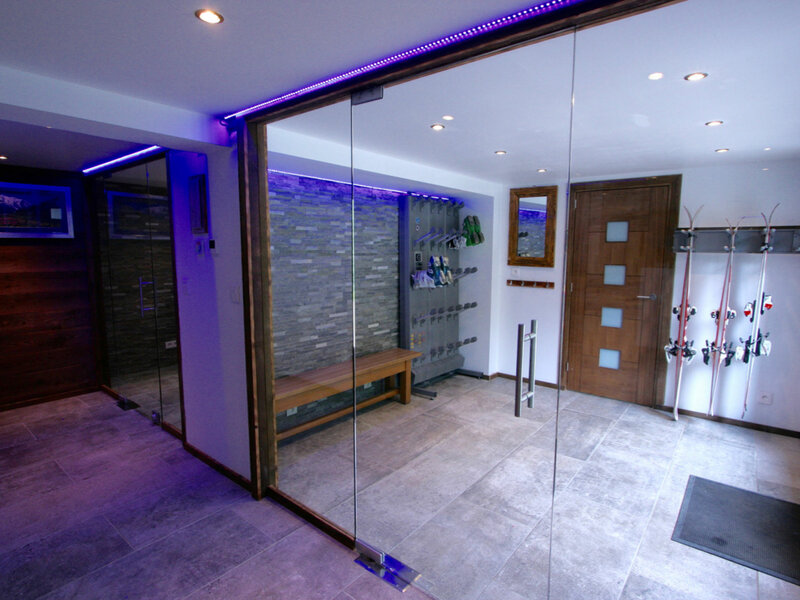 The newly renovated luxuriously chalet boasts a Hot Tub, Cinema Room, Sauna, Massage and Treatment room, large Ski Room and a fabulous open plan living area and contemporary fire place. 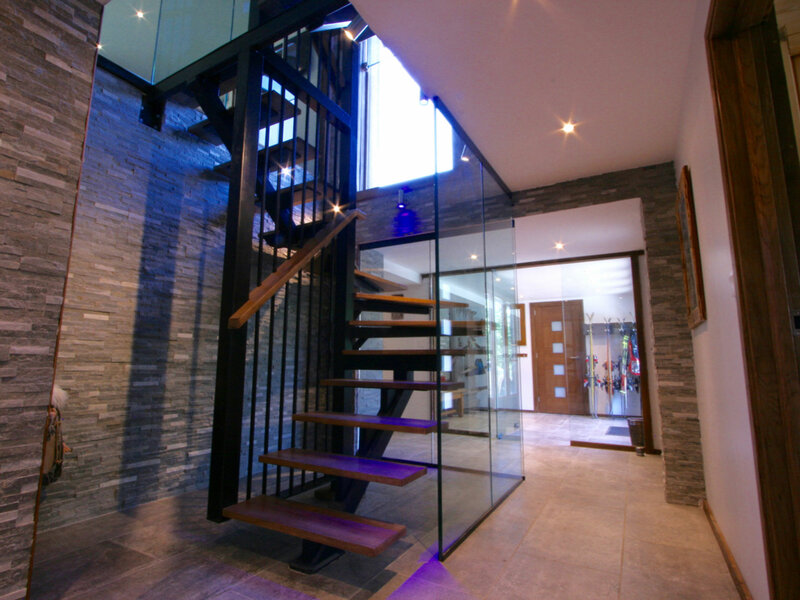 There are 4 bedrooms on the top floor and the fifth bedroom is off the hallway on the main living level. 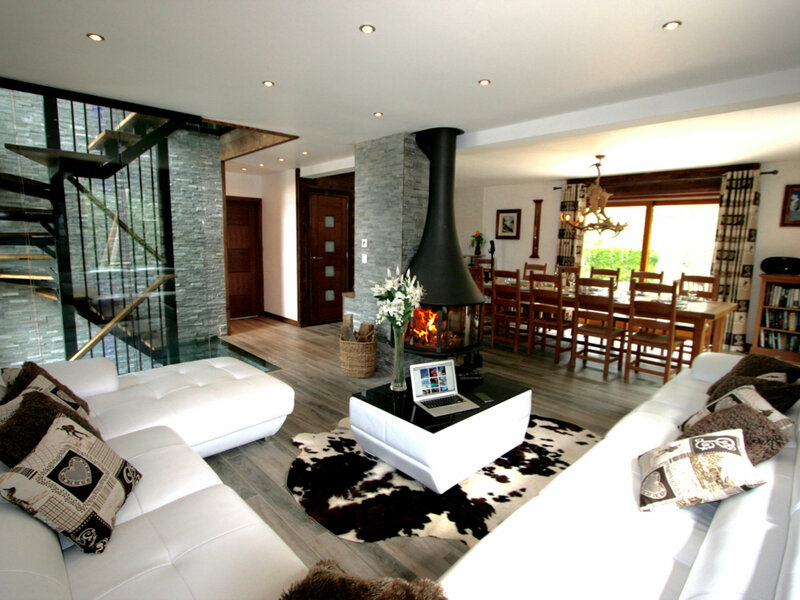 The open lounge / dining area has access to the terrace and the private hot tub. 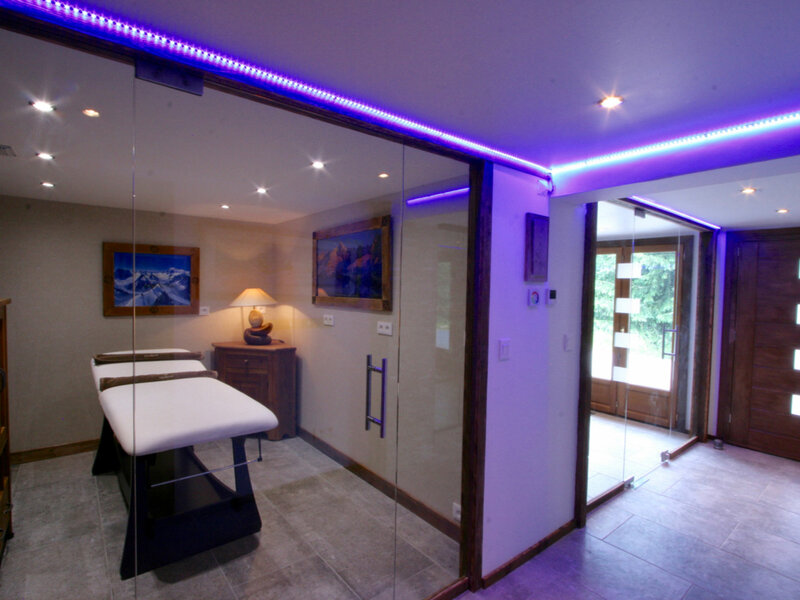 The main entrance is on the ground floor through the glass Ski Boot Room which leads onto the Reception Hallway and then to the Wellness Area that includes a Sauna Room with shower and toilet, and Massage and Treatments Room. 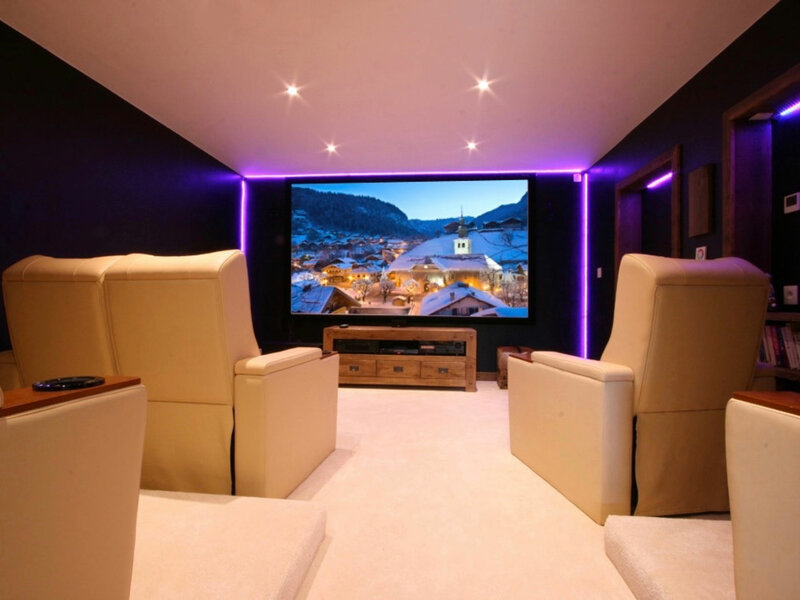 There is also a Games Room and Cinema Room for all your entertainment and relaxation on this level. 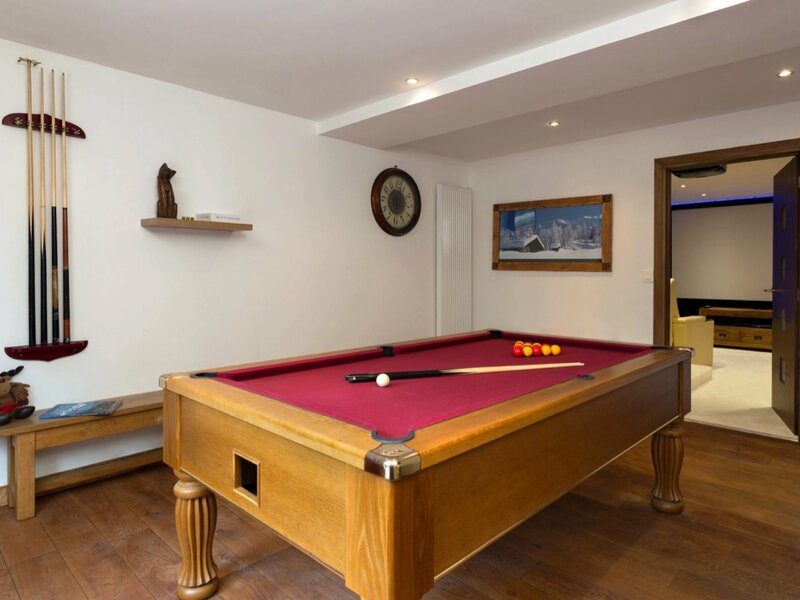 * Games room including a full sized pool table, iPod Bose, DVDs, and games. 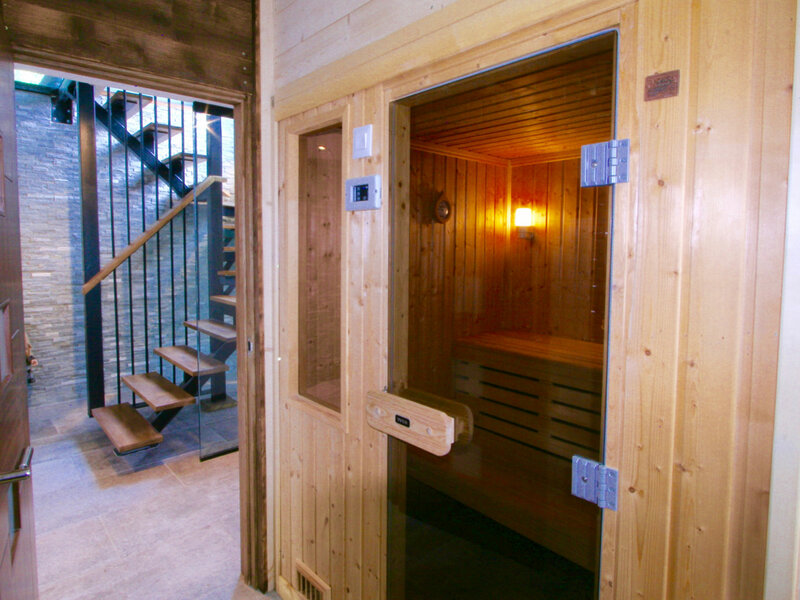 For the comfort of its guests the chalet operates a strict no smoking policy inside the chalet. * Breakfast - continental breakfast each day with a cooked option on 5 mornings with fresh coffee, fruit juices, cereals, French bread, preserves, and freshly baked croissants. 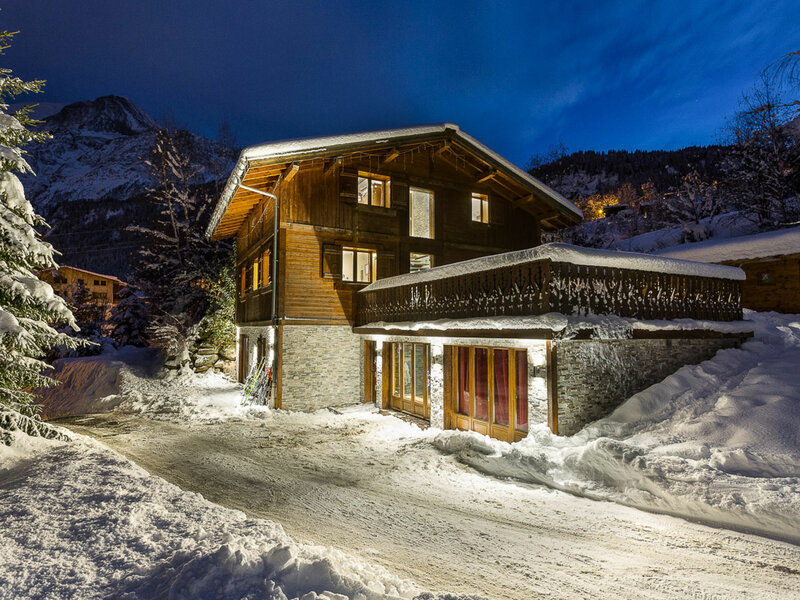 Chalet No.5 is located on the side of the main blue ski piste running back to the resort called the 'Aillouds'. Ideally situated to pop in for a hot drink or to check on the little ones with the nanny. This run literally passes the chalet's back garden and is just a short ski to the ESF ski school, 300m ski down to the Prarion Gondola, or 400m to the Bellevue Cable Car. 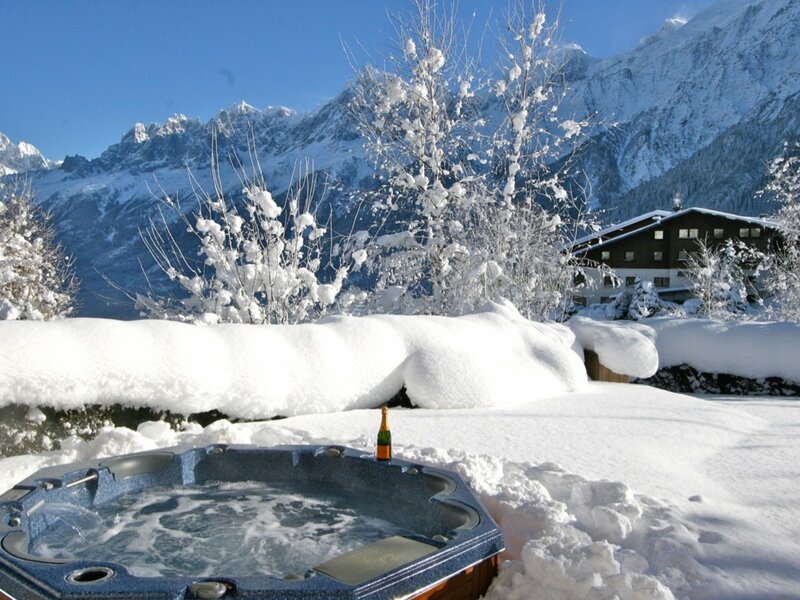 Included in the catered ski chalet price is a chauffeured driver service and the nearest bar is just a 5 minute drive away, with Chamonix town 10 to 15 minutes. Les Houches has an open air ice rink, sledging areas, a sloped snow garden for toddlers to learn to ski. 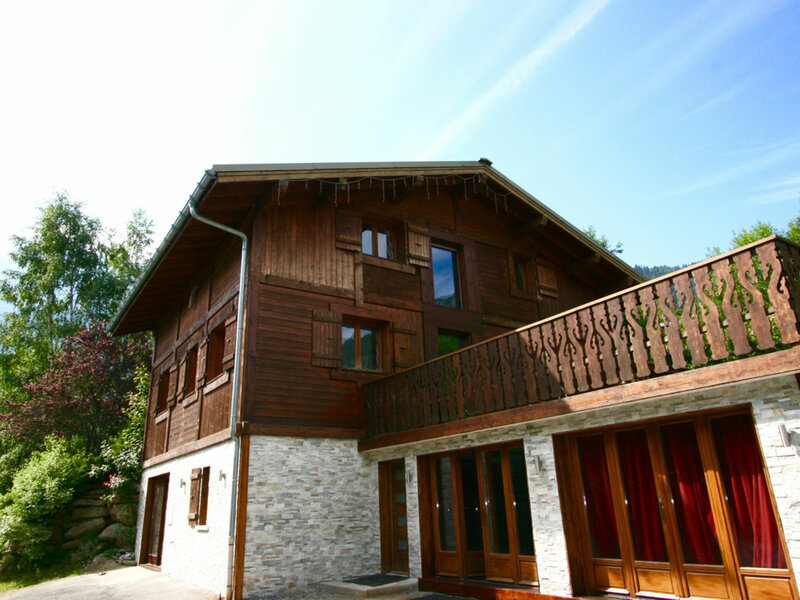 Many weekly attractions and activities for holiday makers and has the 'Famille Plus' (family plus certificate) recognising Les Houches for offering special rates, adapted activities and more for families. Prices displayed are for our Luxury Plus Catering Service with Professional chef and on call driver. 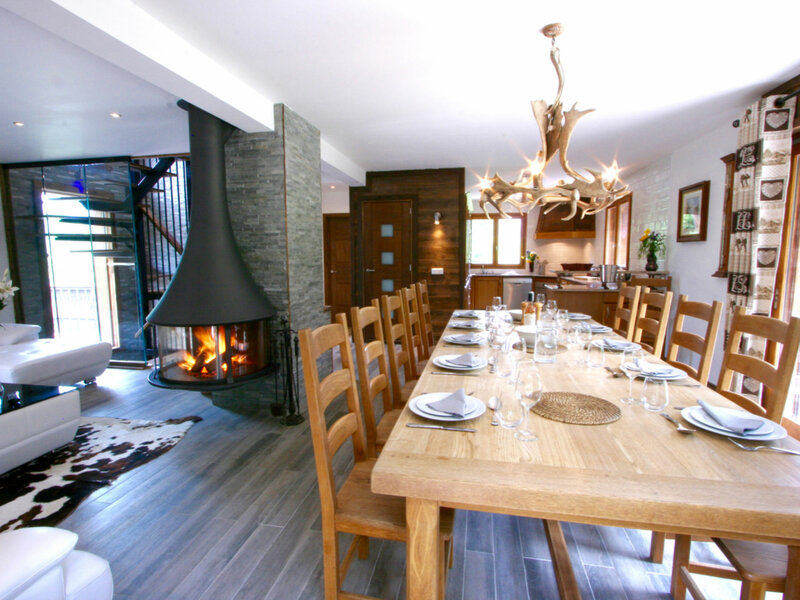 For self catering (please enquire for our package inclusions). Please also enquire for our budget family options which includes catering and limited transport.